Soft synth overload: it’s a debilitating syndrome where people wander around, unable to recognize loved ones, glazed eyes, muttering incoherently “VST . . . Native Kontraktimpakgutoek. . . polyphony . . . sampledgigabee…..” etc. So, let’s cut to the chase: big sample-playback synth, user skinnable and customizable, and (B3 organ aside) lots of great 80s-digital synth content, ready to play. 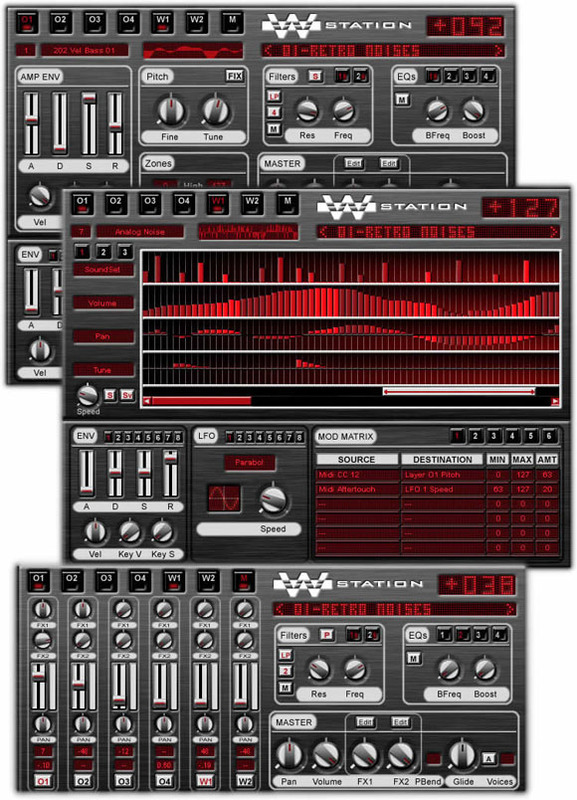 It’s Wusikstation 2.0 (VSTi), one of the best soft synths for Windows. You had me at Casio CZ. And with a lovely, compact interface and high-end features like flexible effects sends and support for Scala microtuning files, it’s no wonder this independent synth has been a sleeper hit. You can add on more digital sounds — even a massive Alesis QuadraSynth library. This also means the rumors of Wusikstation’s death were greatly exaagerated. A major controversy on KVR broke out this spring over this same synth; we reported that users might be planning a buyout. I never understood what happened in the first place, so maybe someone knows what’s happened now? In the meantime, it looks like Wusik’s future is safe — so go hit your Polaris sample and have fun.